From January 7 to 11, our current Director of International Programs at CFI, Bill Cooke, visited Kenya to have a look at the expansive programs CFI-Kenya has been undertaking. 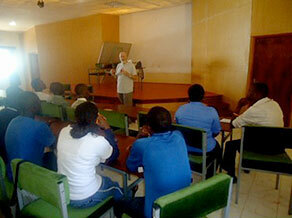 Bill began his three day visit interacting with the humanist orphans. The humanist orphans are a project of CFI-Kenya located in the rural region of Kisumu with the aim of helping children in rural Africa who have been victims of witchcraft accusation and any other misfortunes caused by irrational thought. At the orphans’ primary school, Ogwodo Primary, Bill was welcomed by the school administration and had a chance to walk to the various classrooms and greet the pupils. Then, he met the eleven humanist orphans and their relatives. Here he also explained to the teachers about our mission at the Center for Inquiry. Afterwards, he joined the humanist orphans and took a good part of the afternoon playing exciting games with them. He concluded the day by sharing a meal with the orphans and their relatives. The orphans were excited to have Bill visit and they enjoyed his engagement with them in the games and they asked him to come again. The remaining two days were scheduled for intellectual engagement and Bill was excited to work with the On Campus students; this is what he does best. Here, he started with Maseno Freethinkers. 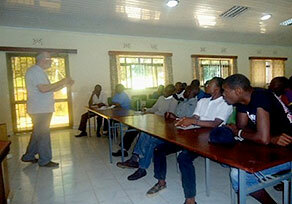 The Maseno Freethinkers are an On Campus group at Maseno University in the western part of Kenya. 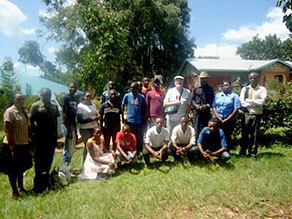 The group has been frequently supported by CFI-Kenya. Bill seemed to have known his audience well and he took them through the history of humanism and expounded more on the dangers of superstition. The students were thrilled by his wide knowledge on the topics of humanism, freethought, skepticism, reason, and science. Afterwards, Bill engaged leaders from various community organizations in Nairobi. 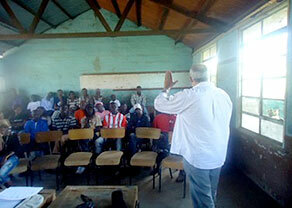 CFI-Kenya has always held various workshops with community organizations to sensitize them on critical thinking, freethought, humanism, and skepticism. Hence, we saw the need to let them listen to a talented speaker like Bill Cooke. Here, Bill presented on the need to end irrational thoughts and superstition. The audience responded with enthusiasm and rejoined with interest. Finally, the University of Nairobi Humanists and Freethinkers, an On Campus group at the University of Nairobi waited for their visitor eagerly and finally Bill arrived and he did not wait. 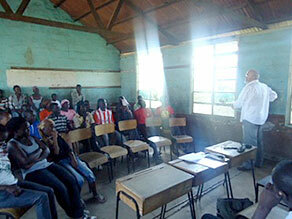 Here, he again engaged the students about humanism. The intellectual capacity was good and most who had hoped to grasp more about the ideals of humanism found a great speaker and someone who could engage them one-on-one. 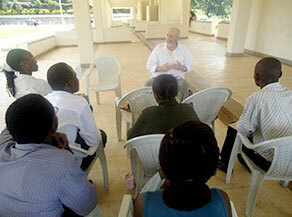 Bill Cooke’s visit was very inspiring and he instilled confidence in us. Most students at the On Campus group believed that if CFI-Kenya were capable of frequently inviting international speakers who were much more versed with topics of humanism, freethought, science, and many more, then they would be more prepared to defend their stance intellectually. In that regard, we thank the Center for Inquiry-International for sending Bill Cooke to pay visit to our activities here in Kenya. CFI-Kenya has extensive programs starting with the Humanist Orphans Project and the On Campus programs that sponsor freethought groups at various universities, engaging the local organizations on topics of humanism and having speakers come to see and engage in some of our programs. Bill Cooke’s visit was a great example of the success of these programs.